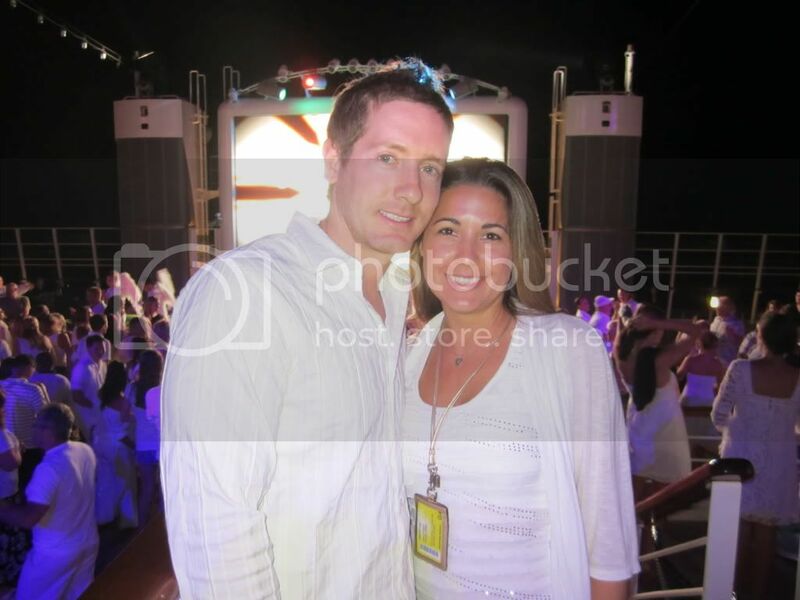 As my husband and I get older we tend to partake in late night activities less and less on cruises. We aren't old by anyone's definition, except maybe a 10 year old ;) We just tend to relax more on vacation these days than get wound up in the excitement. 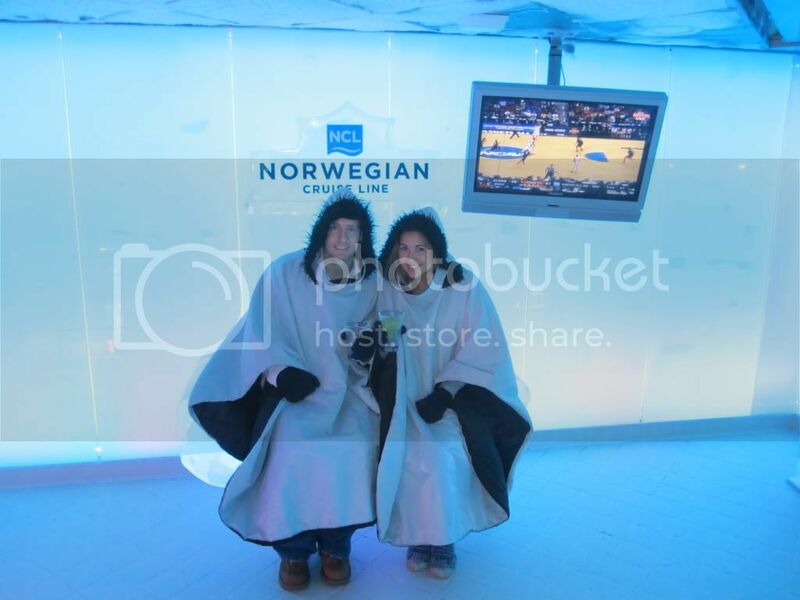 The Norwegian Epic offers something for everyone in the evenings! 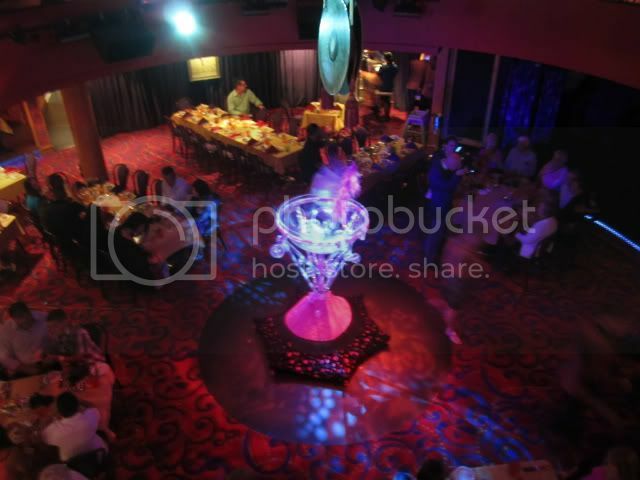 From nightly karaoke, games shows, dance clubs, and over 12 bars and lounges to imbibe in your favorite liquids. 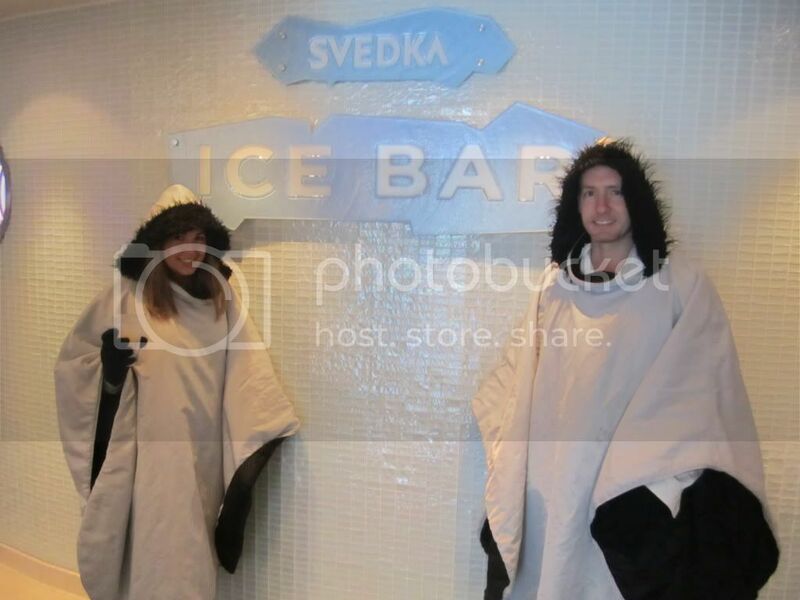 Norwegian is famous for their White Hot Parties. 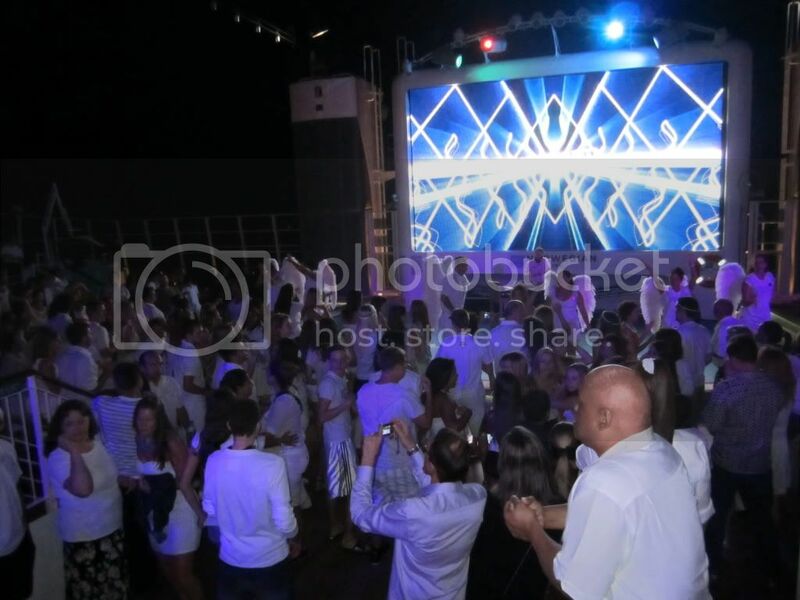 All Norwegian ships will offer a White Hot Party at some point during the cruise. We had a lot of fun at this party, people young and old came together, shook their behinds, and had a lot of fun. Not to mention, white helps you look a lot more tan! Watch a video clip below. 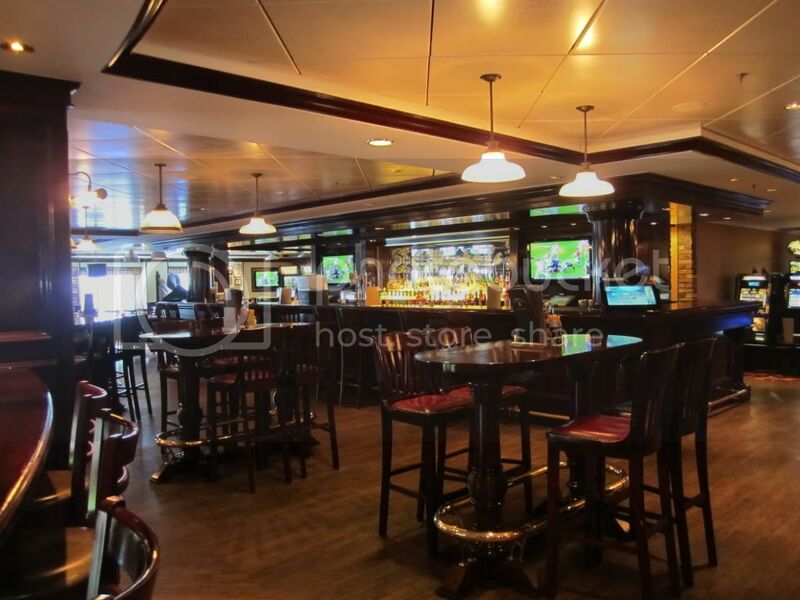 This unique bar can be found in the world's most interesting cities, Las Vegas, New York, Orlando, and now on the Norwegian Epic! 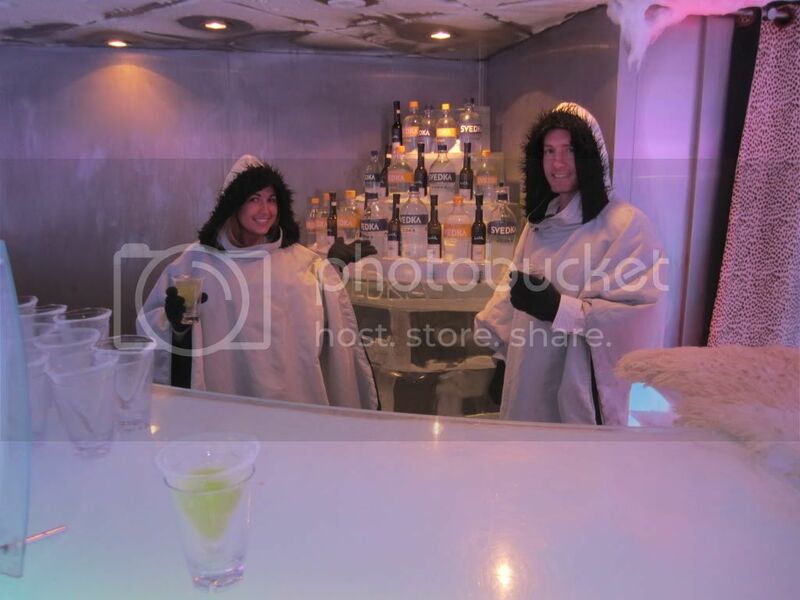 It costs $20 per person and includes two drinks of your choice. You can stay in as long as you can last. We went in wearing jeans, two pairs of socks, two pairs of gloves (thanks to the lady at the door), sweatshirts, and the hooded jackets they gave us. We last approximately 20 minutes before giving up! 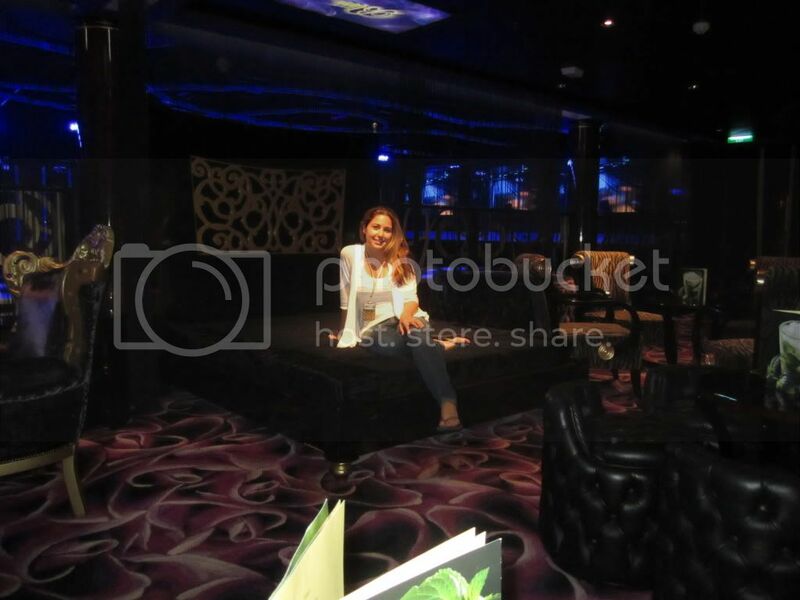 Blis Ultra Lounge- Everything from karaoke, game shows, and nightlife happen here. 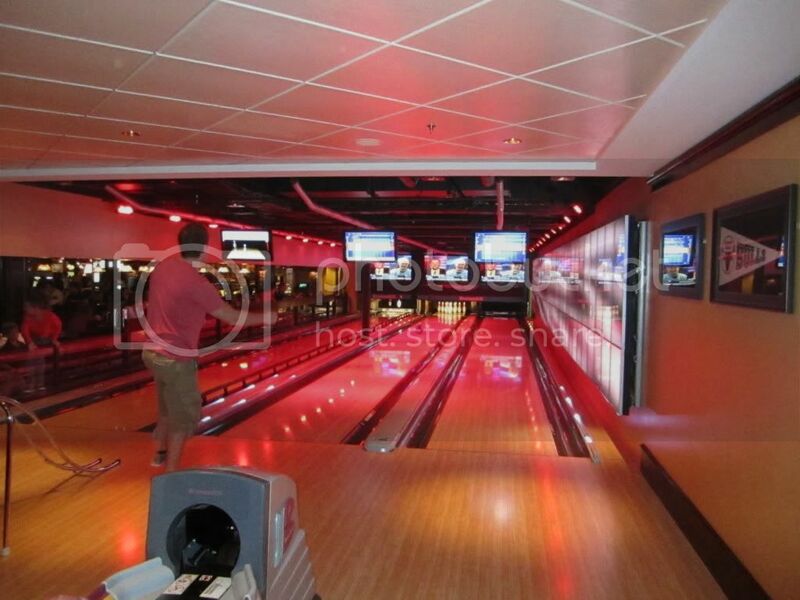 Bliss even has it's own bowling alley! 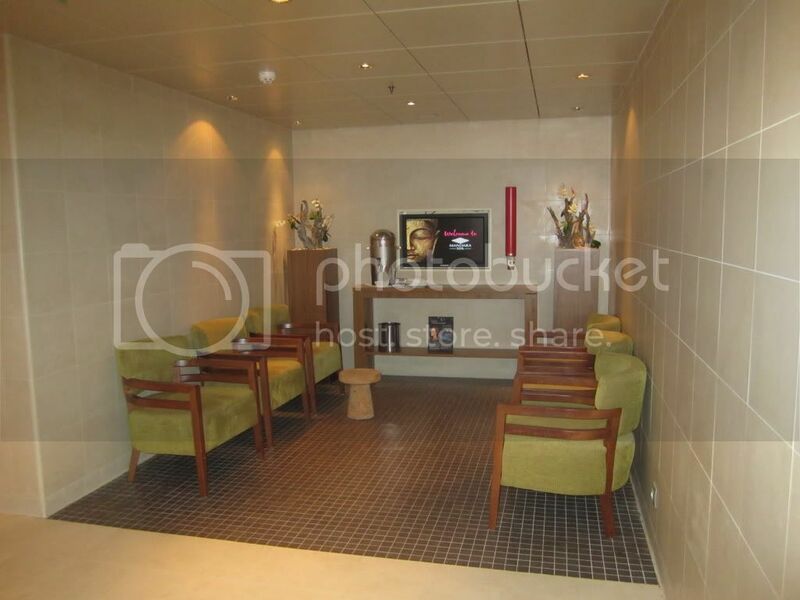 The Norwegian Epic boasts the largest spa and fitness complex on the high seas. 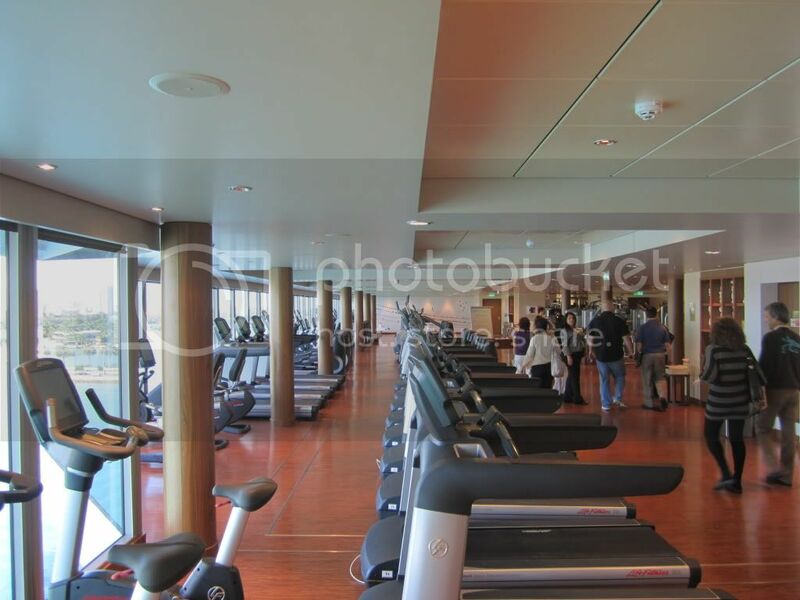 My husband will almost always use the facilities in the fitness center as he tends to be more active than me. 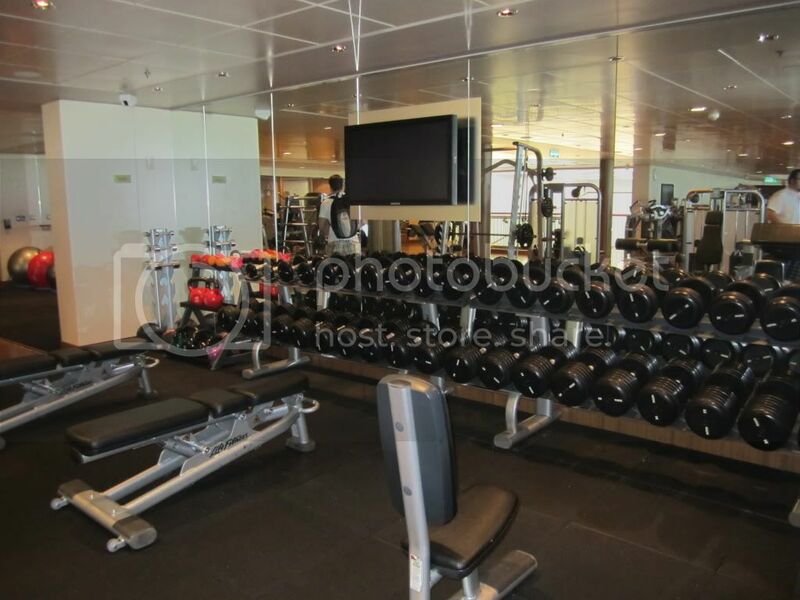 That being said, I used the gym frequently on our cruise. We found that the right time to go was early evening, just before dinner. It wasn't crowded or loud at this time. My husband did experience crowding in the morning hours, especially on sea days! 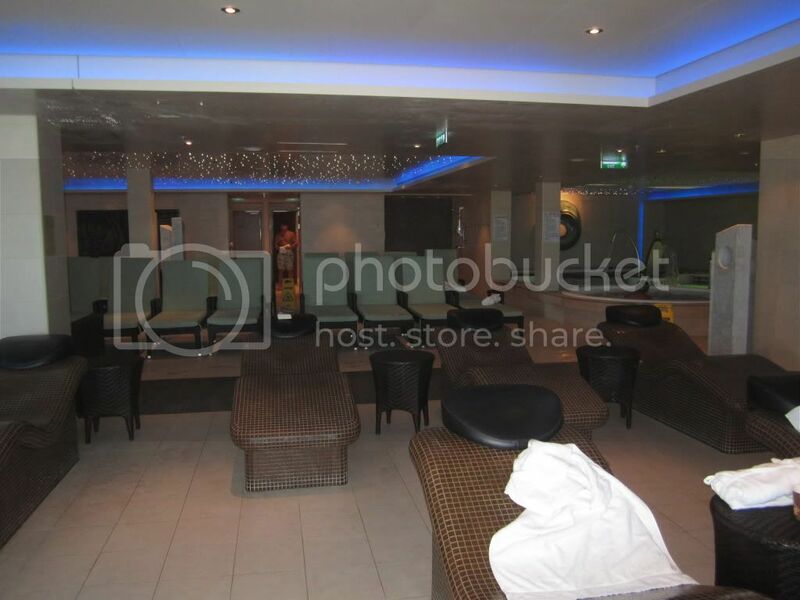 We had a spa treatment on the final day of the cruise. 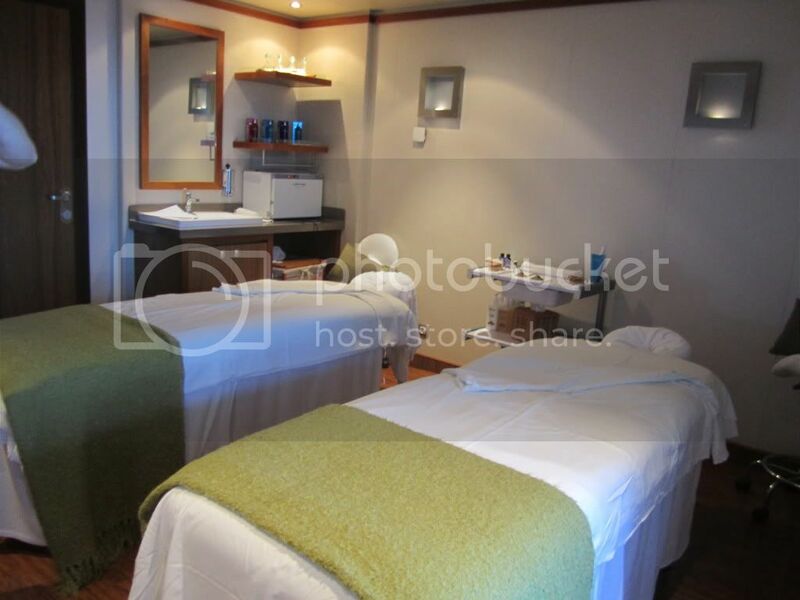 A couples massage was a nice treat to end our exciting vacation. We made an appointment for the day that the ship was in Nassau, we've been there numerous times and did not care to rush off the ship. We were given an additional 15 minutes on our treatment because it was a port day. Massages always feel good in my book. They even added a nice touch on the end by taking my hand and my husband's hand and interlocking them in a light grasp. 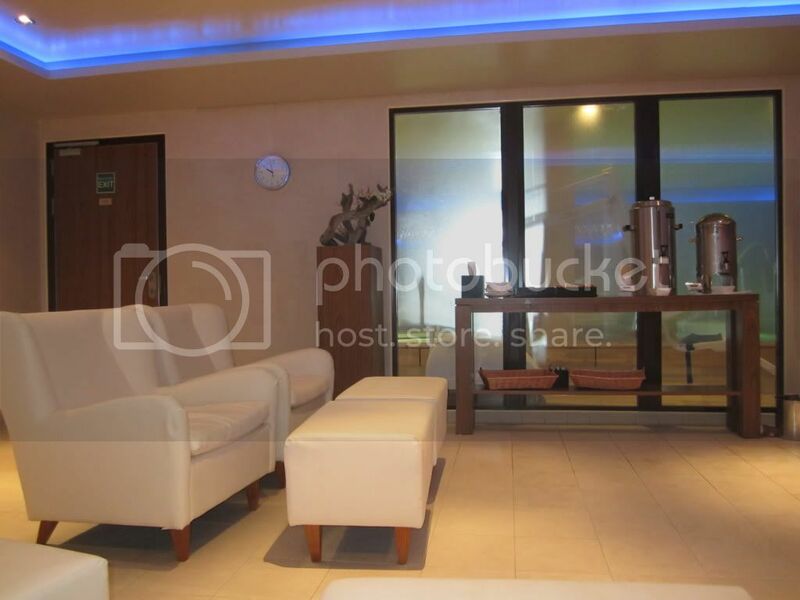 Spa relaxation waiting room, overlooking the thermal suite. 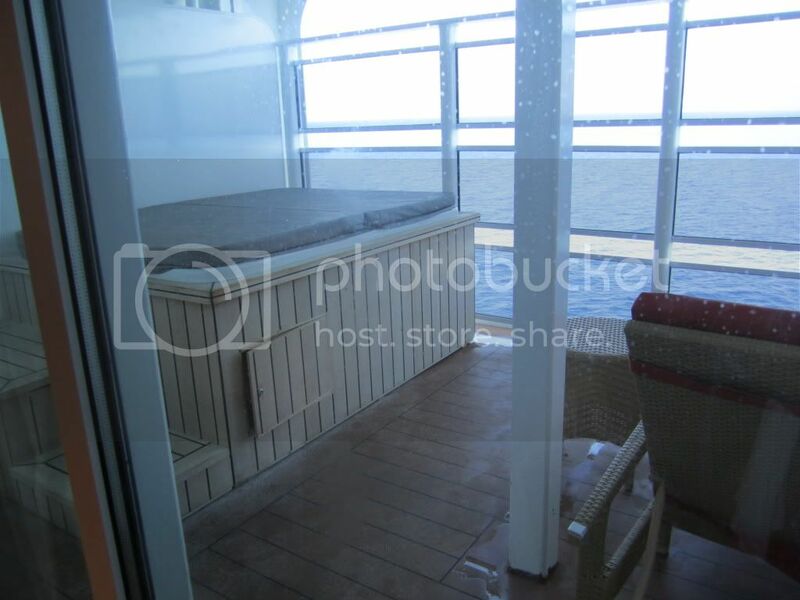 Couple's Retreat with included balcony & jacuzzi tub. 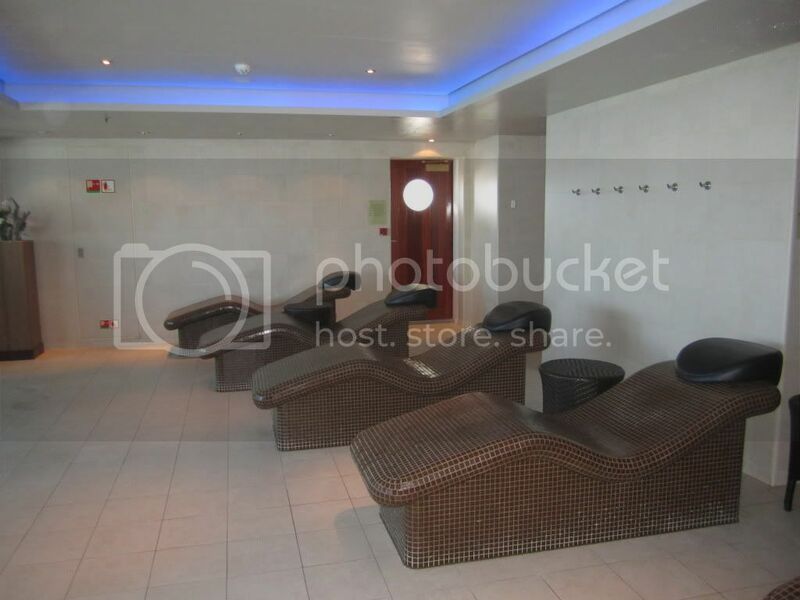 The Thermal suite includes two saunas, one steam room, heated loungers, multi-therapy pool that targets all major body areas, a private lounge balcony. 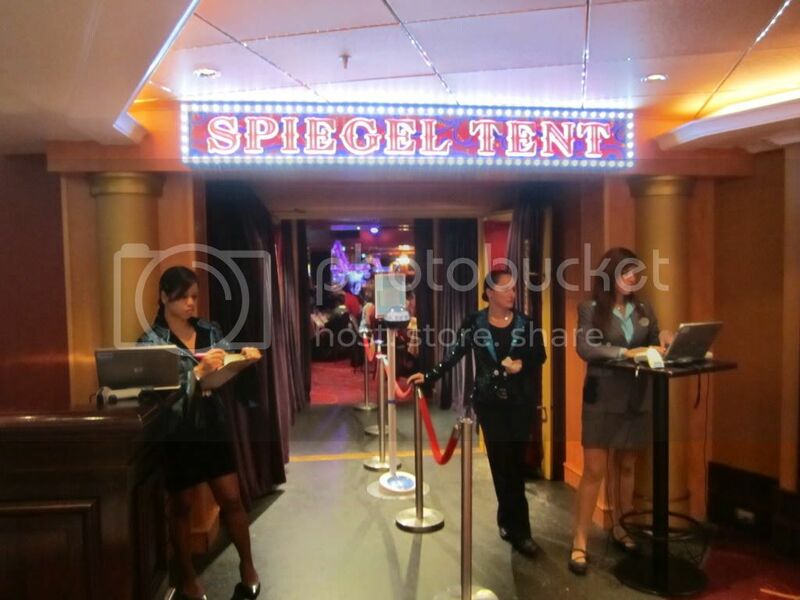 The Norwegian Epic has a lot going on in the entertainment department. You'll never find yourself bored with nothing to do. 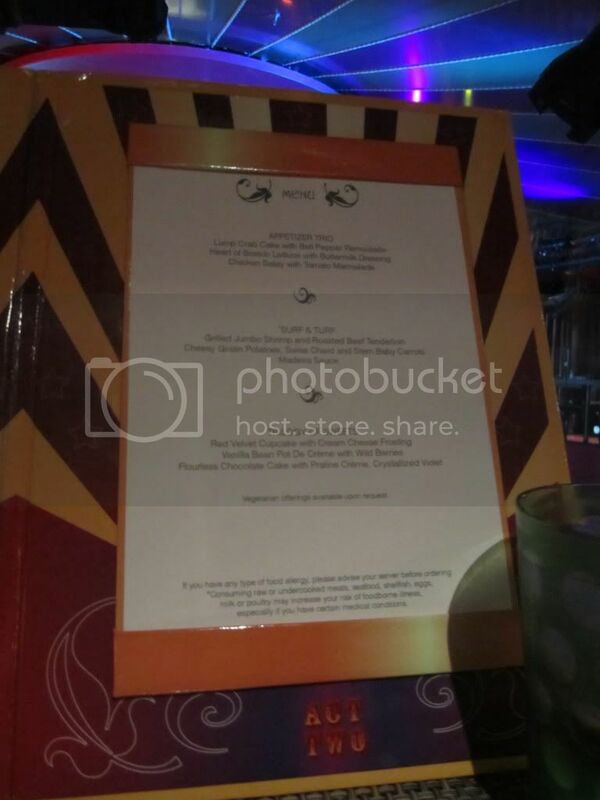 Cirque Dreams & Dinner- This show was reviewed in the specialty dining blog because it included a meal. If you're interested, go back and check it out. This one is a MUST if you can swing the extra cost. 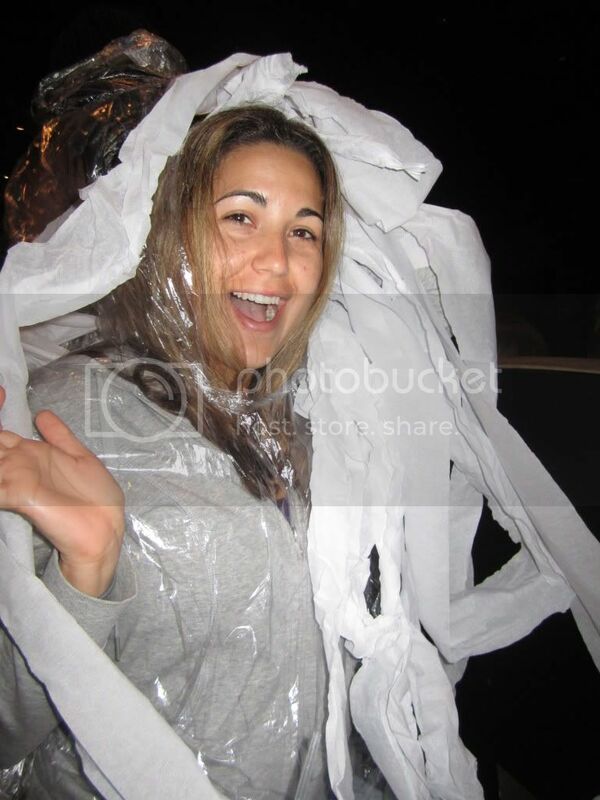 Blue Man Group- We were newbies to this show. I had heard about BMG for years, but never went to see it when we were in Vegas or while in Orlando's Universal Studios. 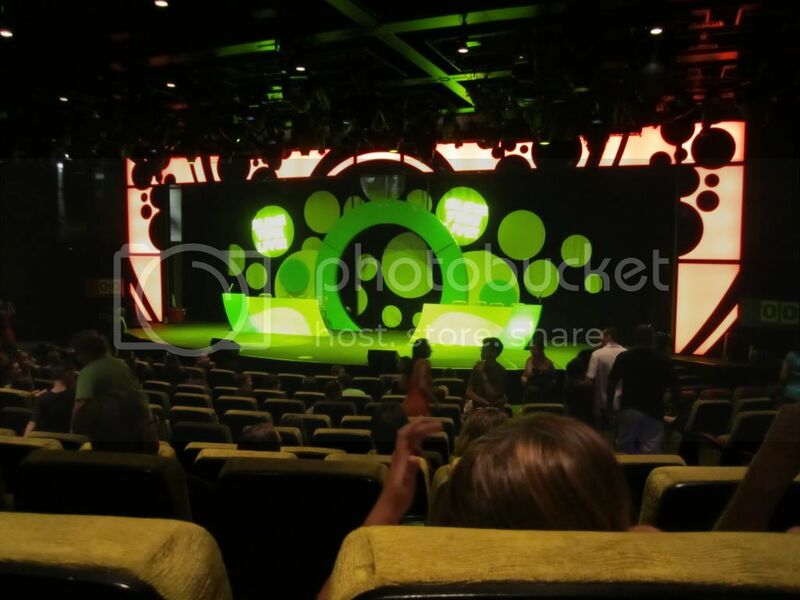 We were so mesmerized by the show we ended up going back on the final night of the cruise for an encore presentation. Half way through the week they offered a meet & greet with the "Men Behind the Blue" where they shared a little bit of information, but not so much as to spoil the show's secrets ;) To describe the show I would say it was a Musical/artistic showcase that allows you to interpret it as you please! Don't miss out on the blue drink. I cannot remember the name for the life of me but it includes some blue food coloring, a marshmallow and what tasted like Malibu Rum. Yours Truly with the Blue Man Musicians, an incredibly talented group of gentlemen! 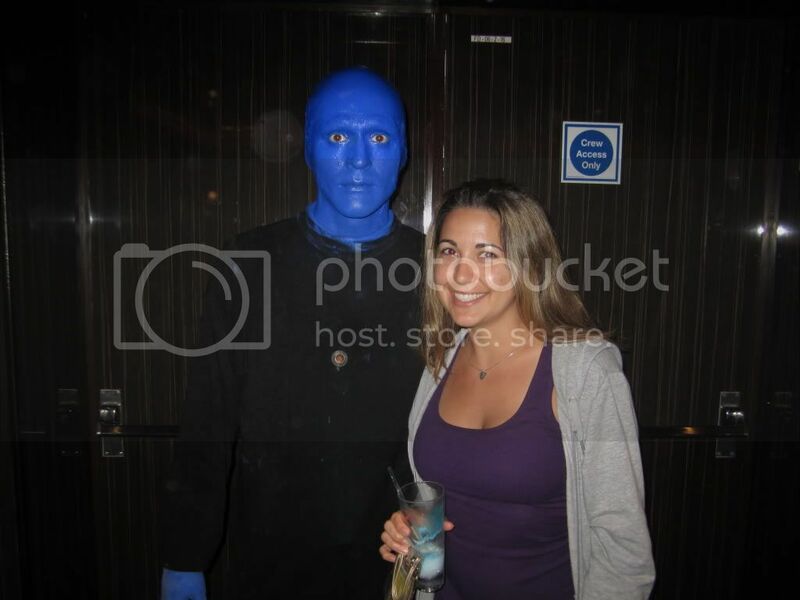 One of the Blue Men and I. The Second City- This comedian troupe provides laughs and enjoyment for all ages. Chicago's legendary comedy theatre, The Second City, celebrates its 50th Anniversary aboard Norwegian Epic with a hilarious revue of sketches, songs and improvisation. Watch the brightest young comic talent in North America puts its comic spin on current events and life on the cruise ship. Based on our experience we learned that this type of comedy isn't what we enjoy the most. We prefer stand up comics. Legends in Concert- The longest running tribute show in entertainment history brings the world’s greatest celebrity impersonators to the high seas. Legends in Concert is a live musical celebration featuring the world’s greatest celebrity tribute artists such as Madonna, Steven Tyler and Elvis Presley, among many others. Every performer is a perfectionist and every performance is a show-stopper.We were impressed by the Steven Tyler impersonator the most. The Madonna Character didn't do the real Madonna any justice, I've seen the REAL Madonna and it was not the best portrayal... Elvis was great entertainment, although we're rather young for his music, it kept the audience going with hoots and cheers! Slime Time Live- The messiest competition at sea is Nickelodeon’s Slime Time Live! 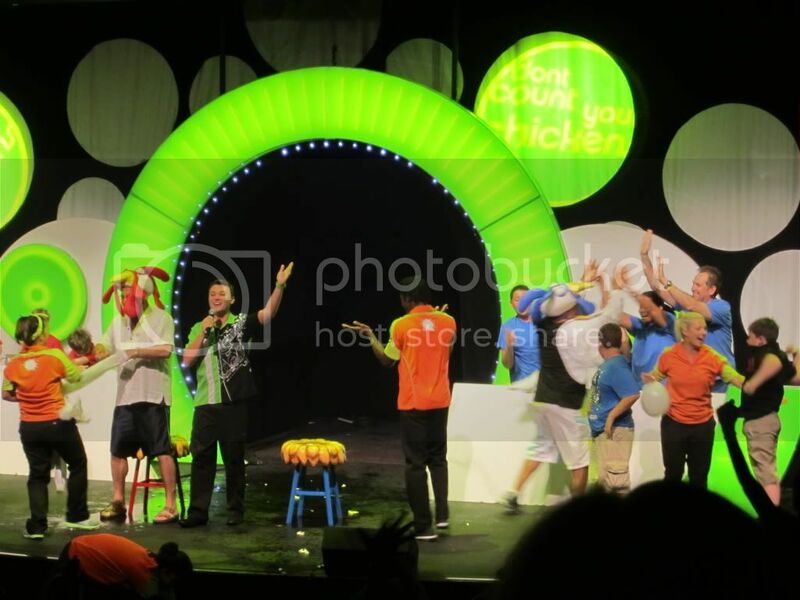 Contestants of all ages are picked right from the audience and earn points by completing classic Nickelodeon challenges. Pop-culture trivia rounds give each team the opportunity to steal questions and tie the score or even take the lead. At the end of the game, the winning team gets the ultimate Nickelodeon honor of getting SLIMED. We went to this show because I felt it was my duty to check out everything onboard, especially the family friendly events. It was a lot of fun. The kids and adults in the audience had a blast! Cooking Shows- Not interested in laying by the pool to get some sun? That's okay, on sea days there are a variety of demonstrations and show in the atrium. This is where the big screen is! 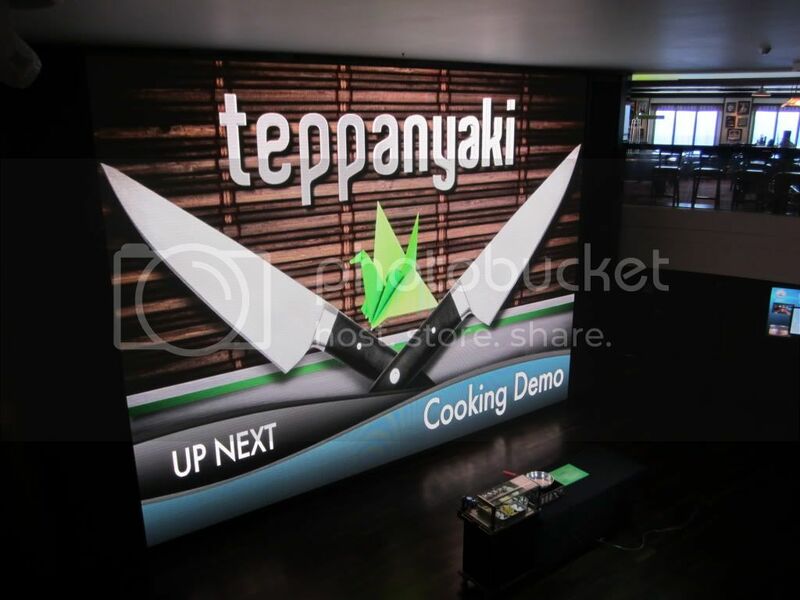 I attended two cooking shows, Teppanyaki and Shanghai. 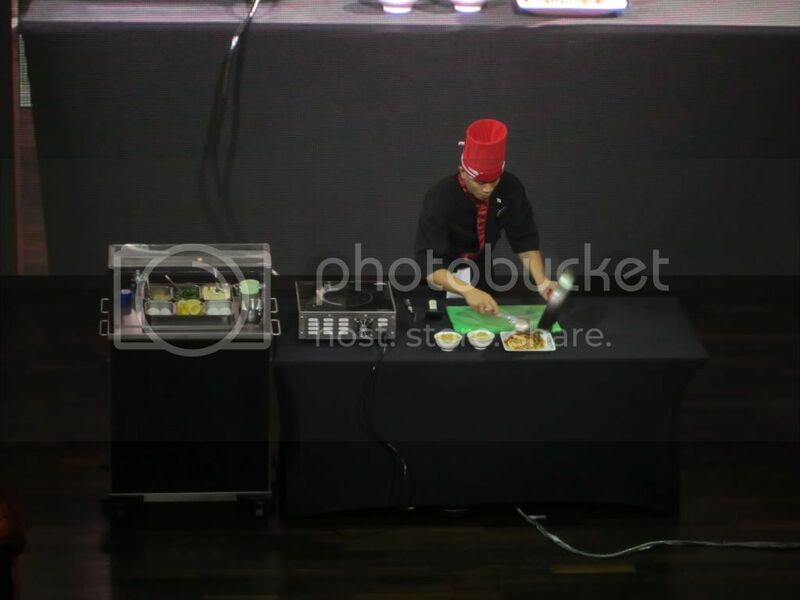 The chefs filled the entire area of decks 5 & 6 with succulent smells of food. You can watch it from deck 5 right in front of guest services or from the balcony of deck 6 in O'Sheehan's. 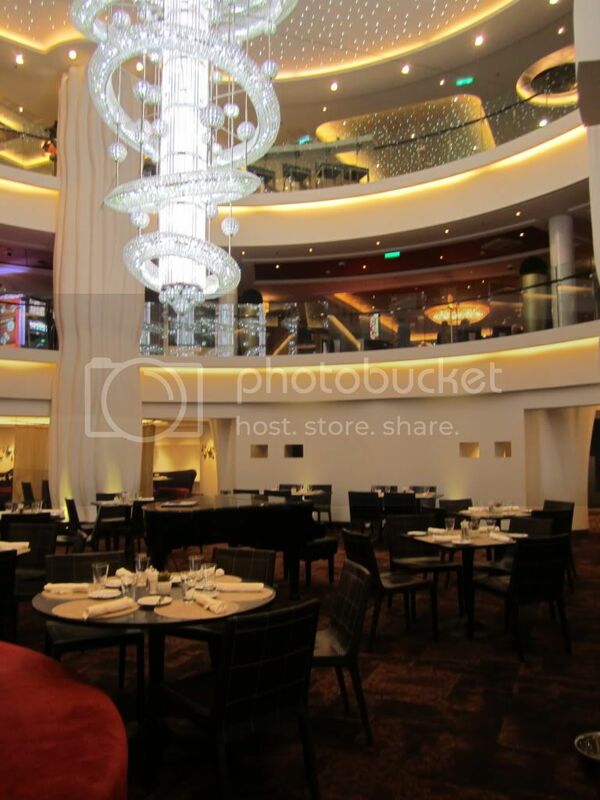 The Epic has an enormous number of specialty restaurants. We were able to experience three of them. 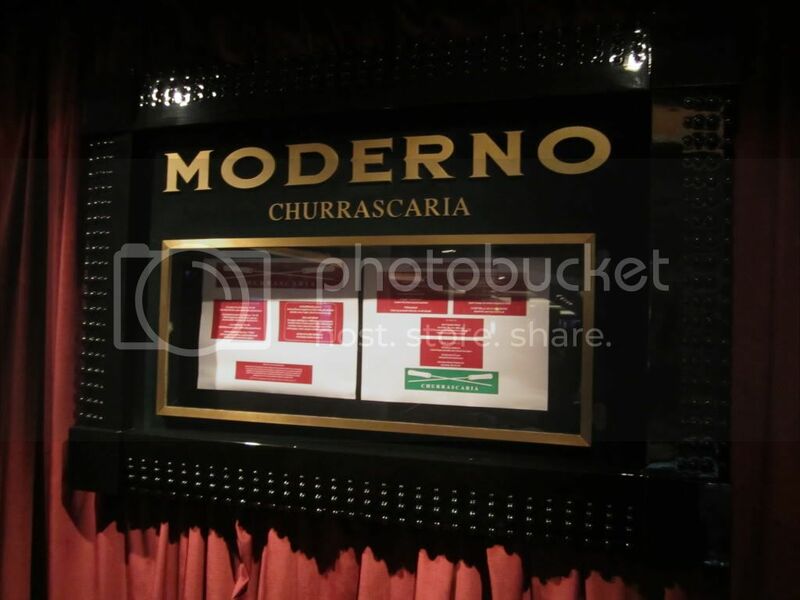 Moderno- Brazilian Churrascaria- $20 per person. This was a phenomenal meal. Come hungry and leave, very , happy! As the succulent skewers of barbequed meats are carved table side, you control how much you want with the Moderno Green and Red Chip. Green for go and the carving continues or red to stop. 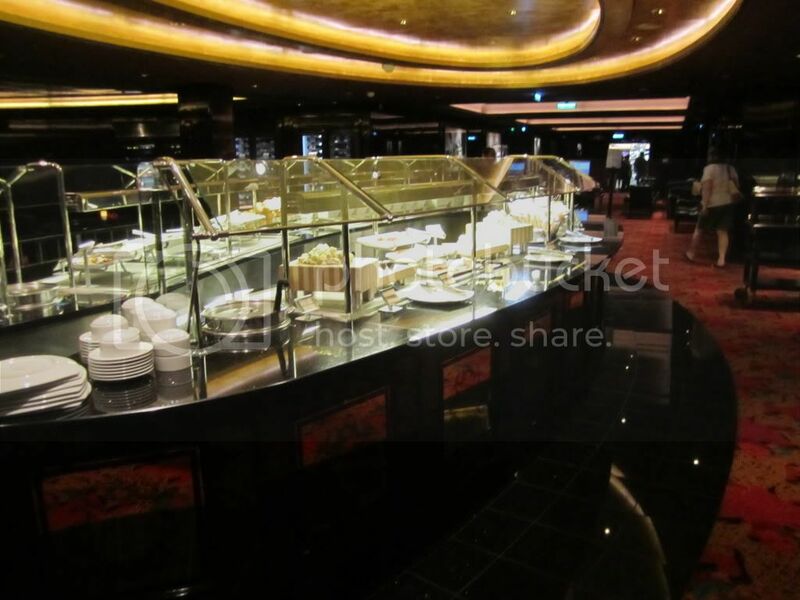 Also, enjoy a wide selection of perfectly prepared salads, sliced meats and traditional accompanying dishes from the salad bar. This salad bar can fill you up before you realize it, so be cautious when making your plate. 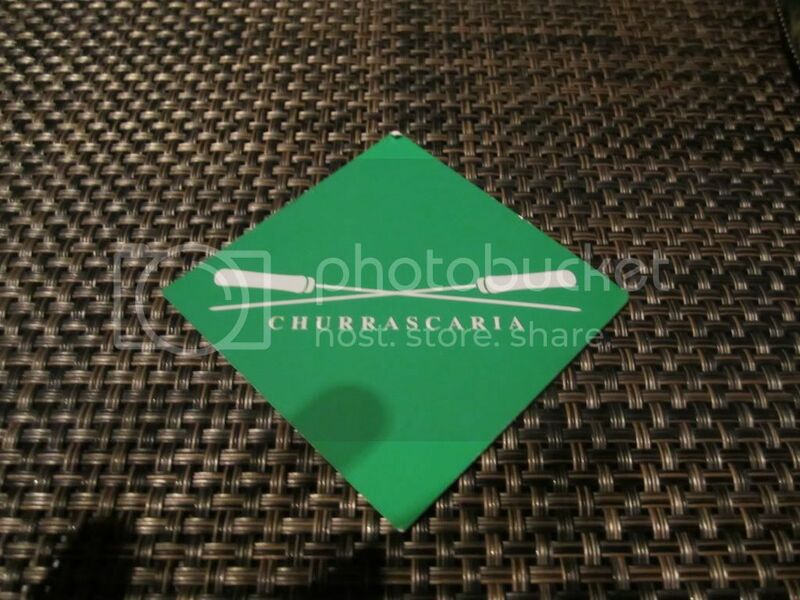 La Cucina- Italian Fare- $10 per person. 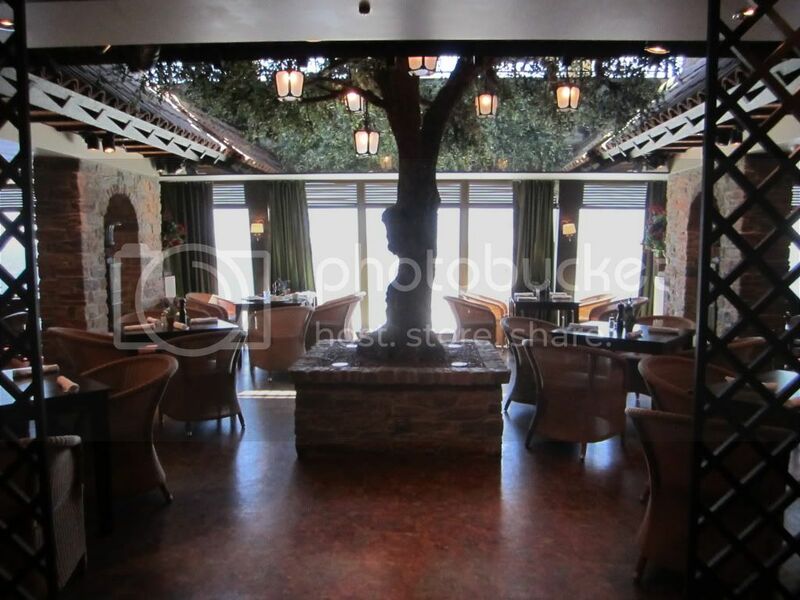 A colorful piazza-style, Tuscan-esque Italian restaurant serving pastas, pizzas and more. The ambiance was romantic. The food was very good. The breads were tastey. I am not a fan of Italian sweets, but they were delicious considering! 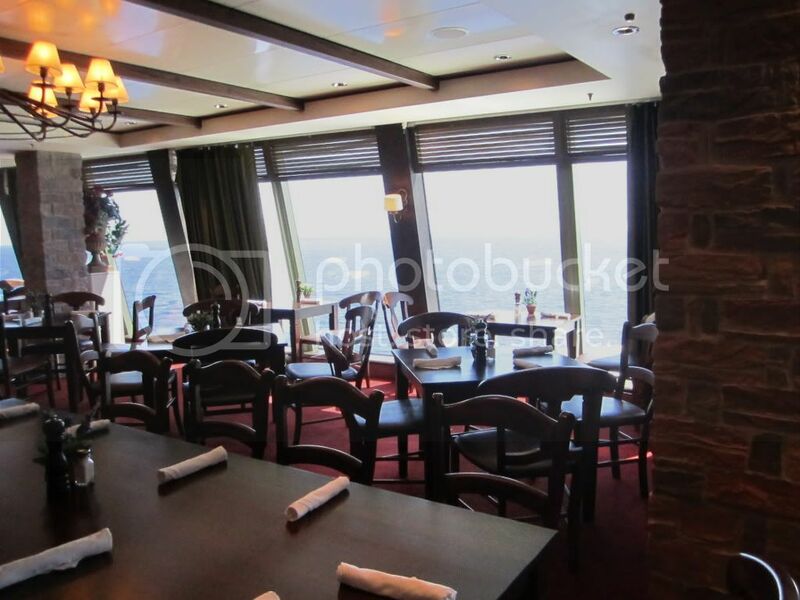 The view overlooks the front of the ship and provides a gorgeous setting for sunsets when the ship is headed westbound. 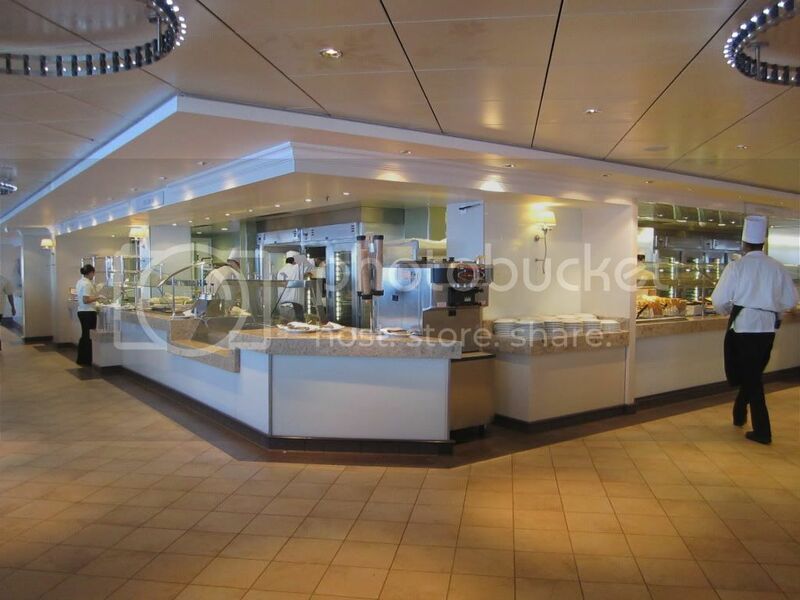 There are multiple casual dining options on the Norwegian Epic. From the Garden Cafe, Great Outdoors, and then my favorite O'Sheehan's! 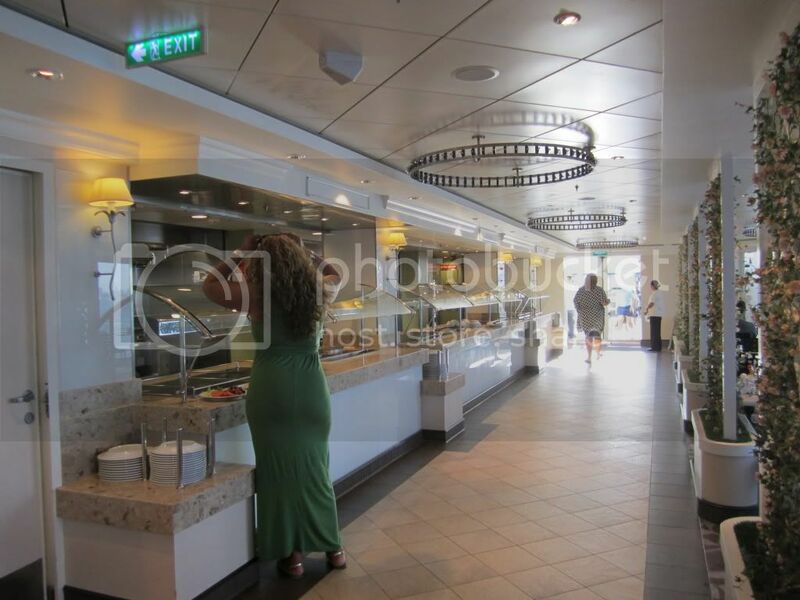 Garden Cafe- Buffet- This was by far the largest most spacious buffet I have encountered in my 15 cruises. The food was top notch for a buffet! You could find food from all over the globe; Indian, Italian, Mexican, Chinese, American, etc. There was even a designated Handicap section so that people utilizing wheelchairs, scooters, and crutches could easily find seating without having to hunt. Although we rarely had to hunt with the extensive seating available. Great Outdoors- This is a small buffet by the pool. It allows you to grab some food without having to throw something over your bathing suit or put on your flip-flops. They regularly had burgers, sandwiches, soft-serve ice cream, pizza, etc. O'Sheehan's- Okay, I absolutely loved this place. We ate here multiple times. This was a quick service- pub style restaurant that does NOT have an extra charge. I'm fairly certain we ate here at least six times over the course of the week. 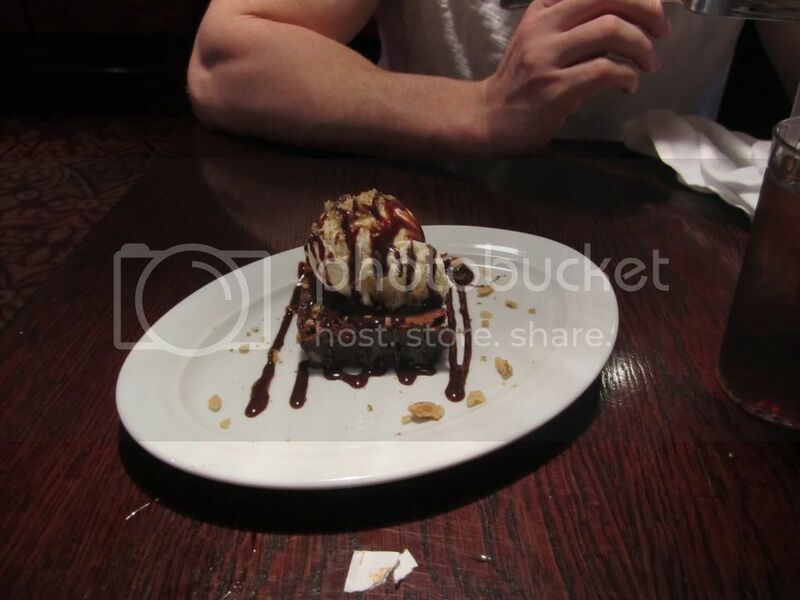 My husband was a huge fan of the brownie sundae. 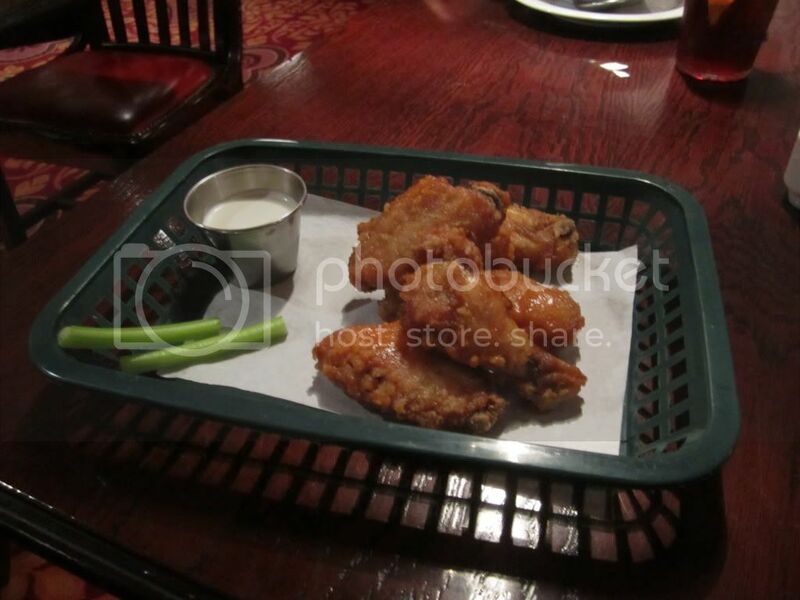 I happened to take a liking to their chicken wings. I ordered the mild version, which still had a bit of spice to them. They had a bit of sweetness also, which made them divine! 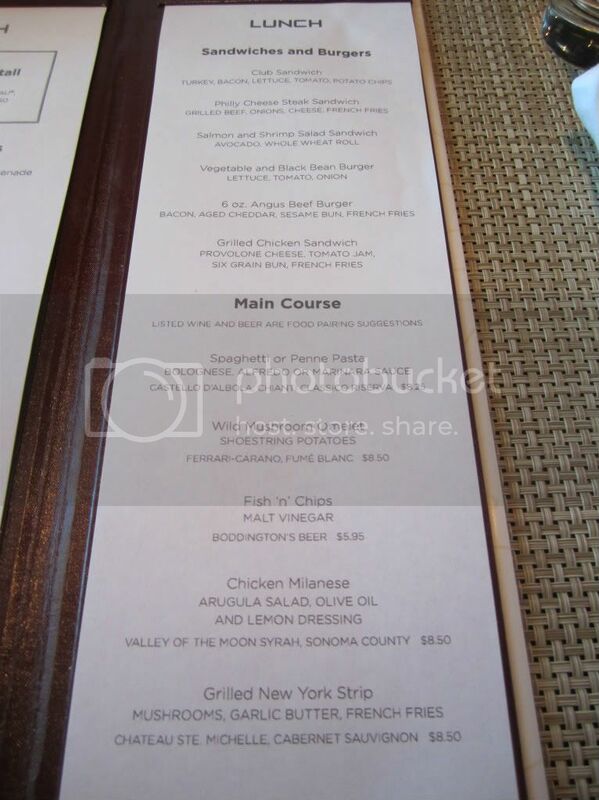 The menu ranged from fish'n chips, chicken pot pie, artichoke dip, burgers, sandwiches, etc. 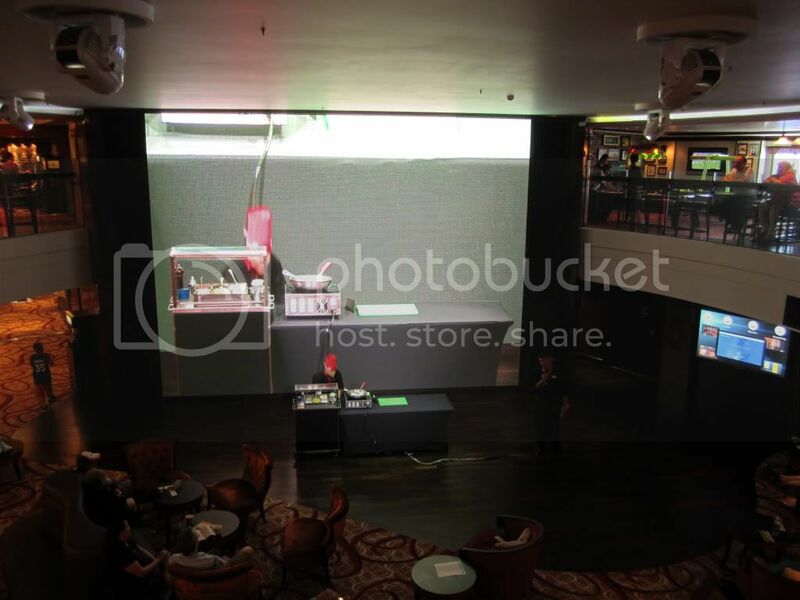 It surrounds the atrium, where the big screen is. On one side it has dining space and a bowling alley. The other side had an arcade, pool tables, air hockey, and more dining space. 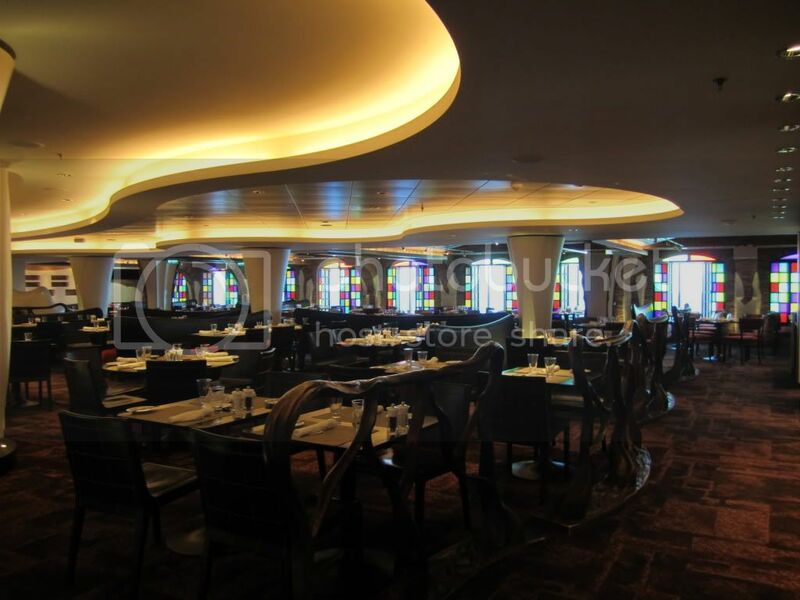 Throughout our week onboard the Norwegian Epic we had the opportunity to experience seven of the dining options on the ship. 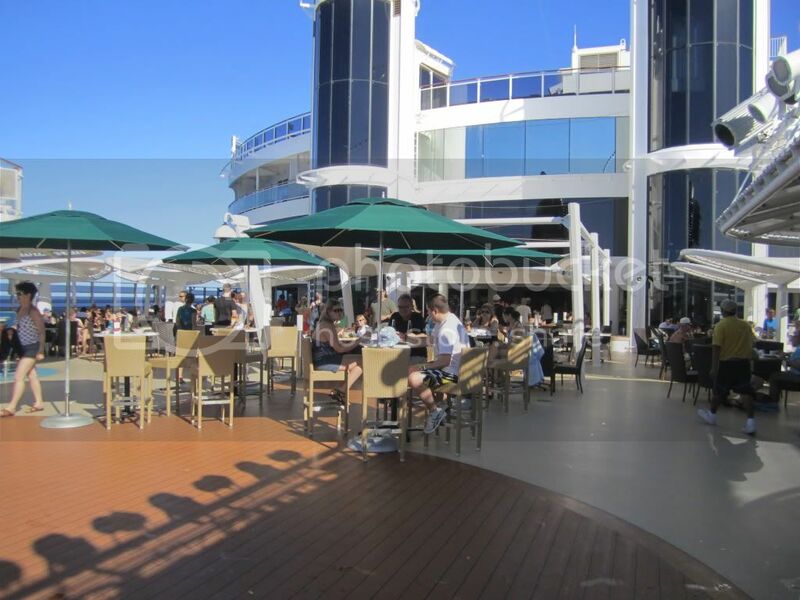 It is important o note that there are over twelve places that you can grab something to eat on this ship. There is something for every taste! Norwegian prides itself on it's Freestyle Dining concept, in which there are no set dining times (unless you make a specialty restaurant reservation.) This worked for us because we could decide to go to dinner when we were hungry, not when we were scheduled to go! 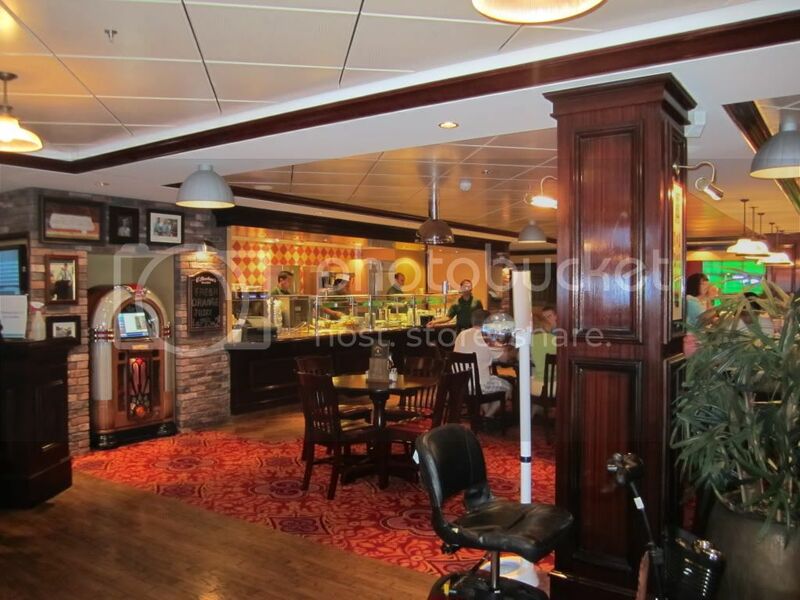 Comments have been made that, in order to enjoy your meals on Norwegian Cruise Line, you have to eat in a specialty restaurant. I will firmly say that it is not true. You can survive and enjoy your dinners in the main dining rooms and not have to spend an extra dime! 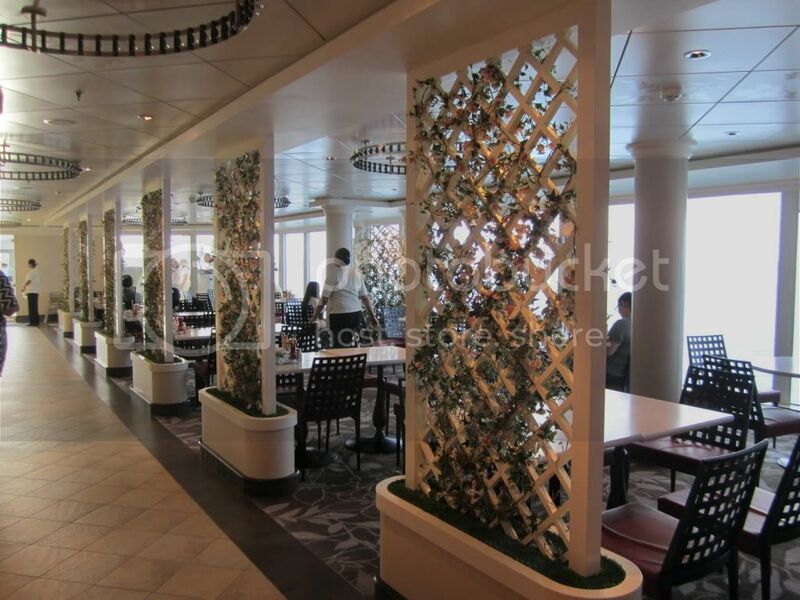 Taste- Main Dining Room- This casual main dining room is located on Deck 5, AKA ground floor. Each time that we dined here we had no wait. That being said we had a few lunches and three dinners in this dining room. We enjoyed being able to have dinner without having to get dressed up for the evening. The service was fast, we were often in and out in under 45 minutes. We enjoyed everything we ate in this location. 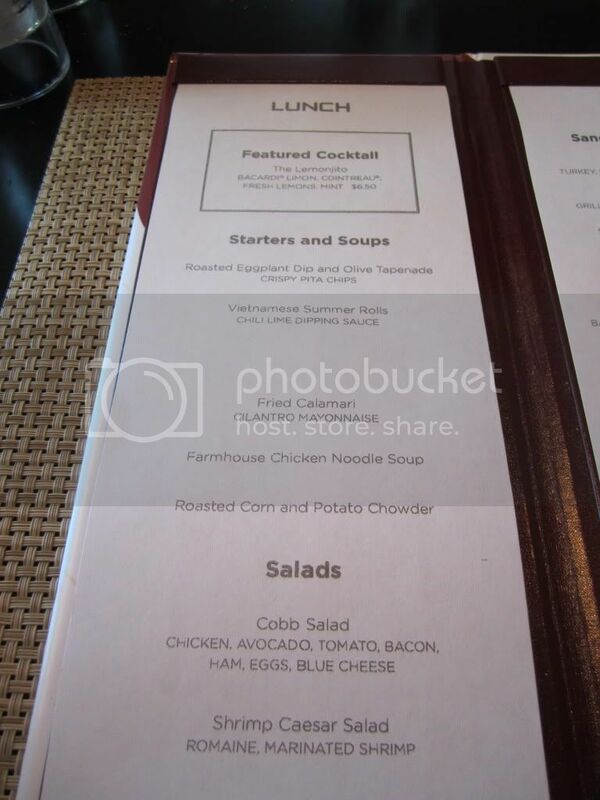 The lunch menu remains the same throughout the week. The dinner menu confused some guests. 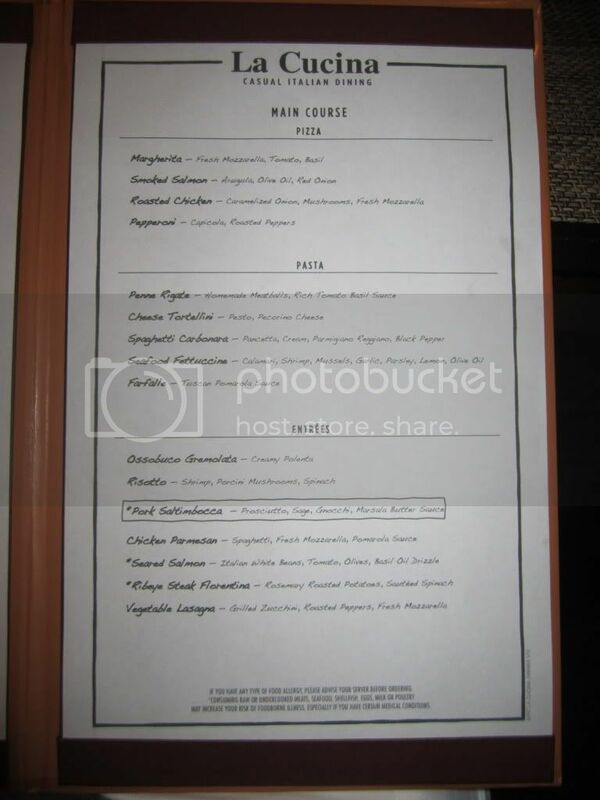 We overheard some people saying that the menu never changed, when in fact it did. The right side of the menu remained the same all week. Those were standard items. The left side of the menu were the nightly specials. Unfortunately, I did not snap any photos at dinner. This was generally the time I took to recharge my camera battery. Manhattan Room- Main Dining Room- This was the "formal" dining room. Shorts, sandals, and tank tops not allowed. This location came with a 40 minute wait the night we chose to try it. 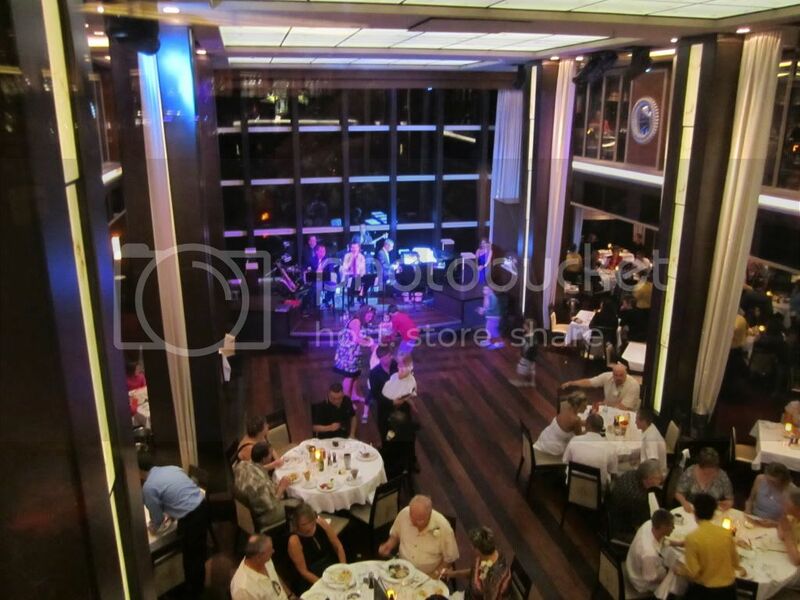 It has a supper-club feel with live music from a band. There is even a dance floor if you feel inclined to dance between courses! The volume was much higher in this restaurant. 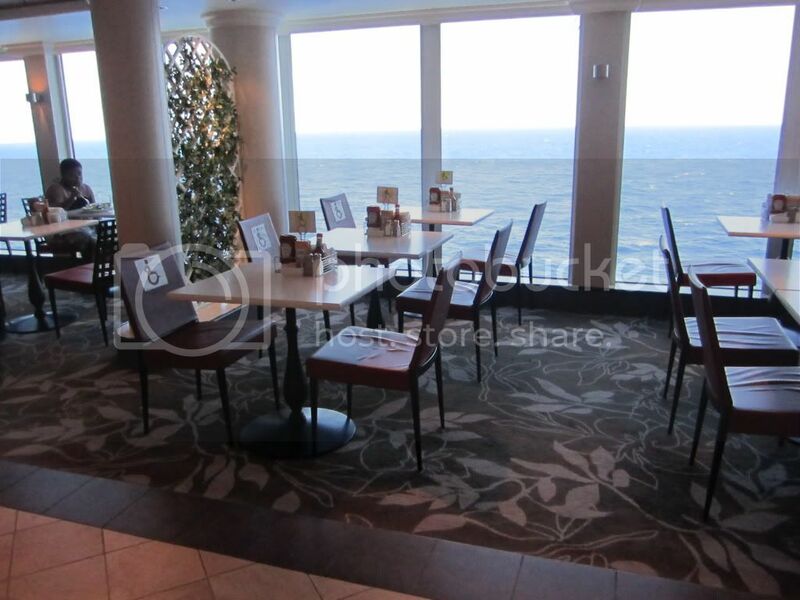 There food selection was slightly better than the other main dining room. 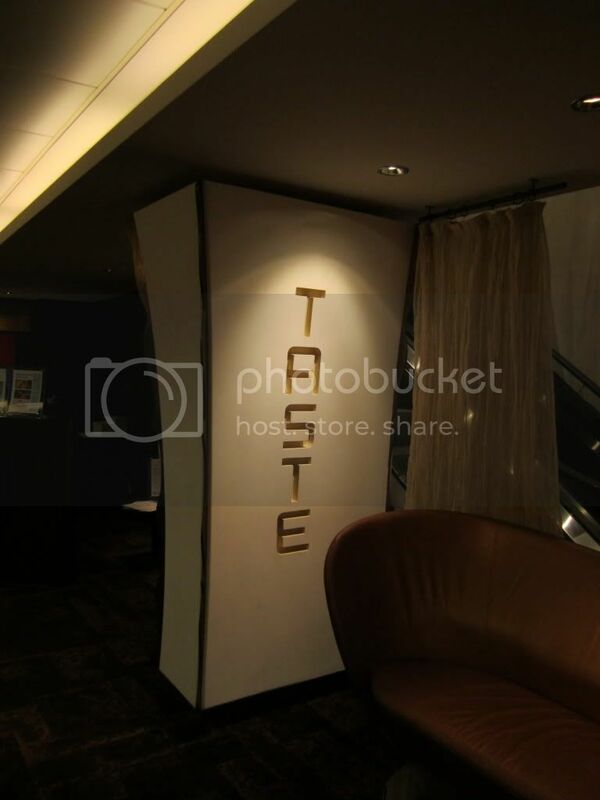 We only ate in here once because we enjoyed the casual atmosphere of the other venue.